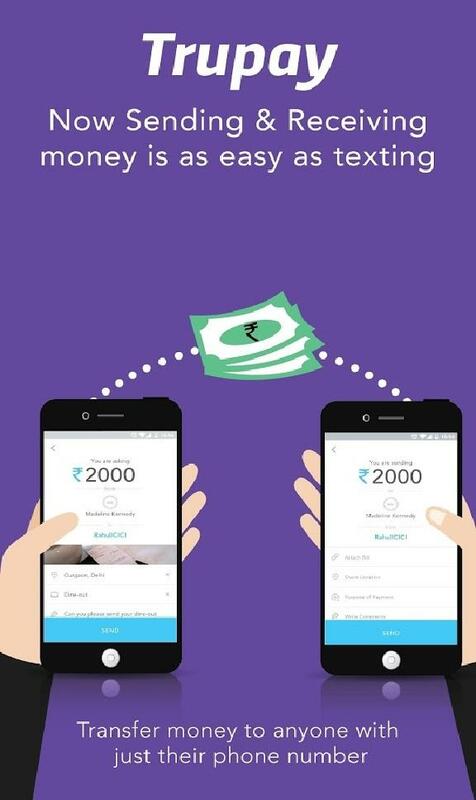 TruPay is yet another non-bank UPI enabled app which assures the users of experiencing a safe and secure money transaction online. It has followed the protocols of the UPI as instructed by the RBI and is now going fast in acquiring a good reputation amongst its users. Here is a short list of all its well integrated features. One touch functionality: TruPay is an UPI enabled app co-founded by IIM alumnus which can make one enjoy the benefit of online hassle free transactions with its one touch functionality. One need not go through the tiresome process of topping up the in-e-wallets while using their TruPay accountor swiping there cards at brick and mortar stored. All you need is your phone number. Security is Prioritized: Trupay as one of the first UPI enabled app has integrated all the latest bank grade security systems including data encryption. Ensuring that each and every monetary transaction that takes place through this app should be fully secured, it has incorporated a 2 Factor of Authentication and a 256-bit-end-to-end-encryption with SSL Certification. TruPay UPI app is free to download and they made sure that one need not pay anything to make any payment through this app. You don't get into the trap of any intermediaries like the Lowest transaction cost or anything of that sort. id/ virtual id/ UPI id/ : Every user in TruPay get to create their own payment id/ their virtual id/ or an UPI id/ to ensure safety and privacy during the process of online payments. Both modes of IMPS: TruPay has support for both the modes of IMPS that are based on either on the Merchant's mobile number or the payments that are initiated from the Merchant website. 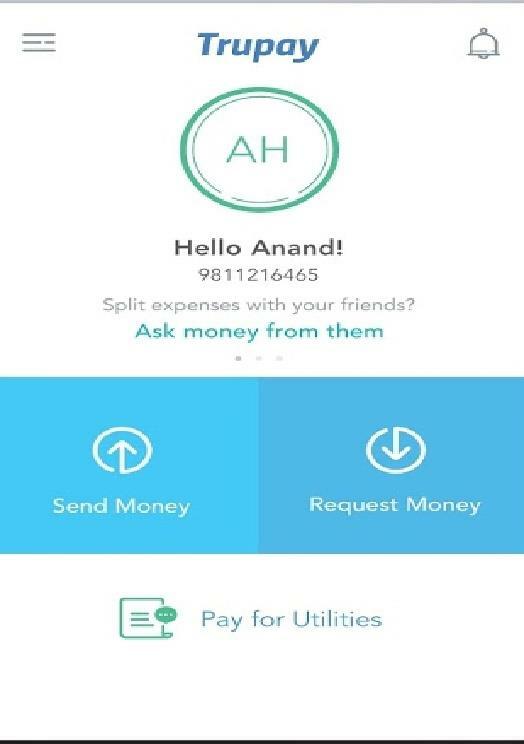 Through a Trupay account one can send and receive money to any person directly from his/her bank account by solely using their mobile numbers. This reduces the risk of typing one's private information online, like bank account number, card number, pin number, password and so on. All transactions in TruPay are done in real time to make sure that the recipients get their money directly in their bank account within a few seconds. This makes it highly popular in comparison to the traditional settlement rule of taking 2-7 days of processing the credit/debit cards. In Trupay the users are allowed to transform their mobile phone into a POS device for the merchants. This system is to democratize the payment collection systems where the smallest of merchants get to enjoy the same benefits. In TruPay every money put in the wallet remains in the bank account earning interest till the point the user starts the process of paying off a merchant. The Transaction costs in TruPay are the lowest in the market as Trupay has removed every single intermediary elements from their system. The GoodTruPay has a number of good features to make it one of the leading non-banking UPI app. It follows the latest bank grade security systems like data encryption. It allows to make a virtual id for every user to eradicate the hacking risk of personal information. The interface is good to look at and has a one-touch functionality that saves a lot of time. Not So GoodTruPay has not integrated payments through social media channels like Whatsapp which would have further eased the usage. TruPay has ensured safety and democracy for every user. It has focused on preventing foul play in online monetary transactions which is definitely an appreciable venture. Hope to see the updates that makes it at per with its competitors in the nearest future.